Bellevue-based Valve has become one of the most successful, and low- profile, video-game companies in the world. It’s known for an unusual freewheeling corporate structure, which some industry watchers say has gotten Valve into trouble as it has grown. On Monday morning, the first two five-person teams will file into soundproof boxes, take a seat in front of custom-built computers, and test their reflexes and strategy in a quest for a cut of a $23 million prize pool. In a darkened KeyArena around that stage, thousands of mostly young fans will follow the action broadcast to the video screen above, with the fantasy-movie sounds of in-game clashes and live commentary blaring through the arena. But before all that, a curious opening act: a few words from a burly, bearded man in his 50s. The prize pool for this week’s “Dota 2” tournament, the largest in esports history. That would be Gabe Newell, one of the most powerful figures in video gaming. Newell’s company, Bellevue-based Valve, builds “Dota 2,” the video game whose signature tournament kicks off this week for its sixth year in Seattle. He typically takes the stage at the outset to thank fans for coming before acknowledging that they’re not here to see him. That bit of public humility is typical from a man who maintains he isn’t the boss of the company he owns. 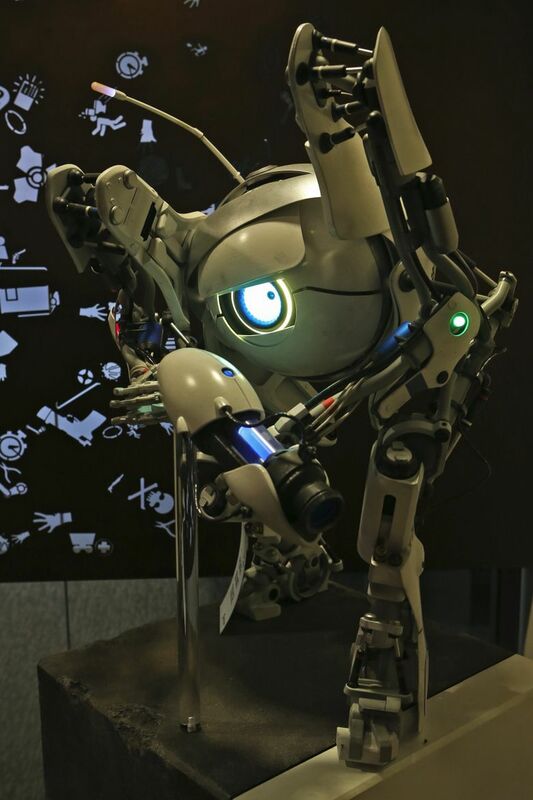 At Valve, there is no formal hierarchy, and no job titles. Workers vote with their time on what projects are worthwhile, wheeling their desk to a different corner of the office when they’re ready for a new task. Some former employees dispute the vision of a boss-less utopia, but there is no doubt the unusual corporate formula, however it works, has made Valve one of the most successful video-game companies in the world. 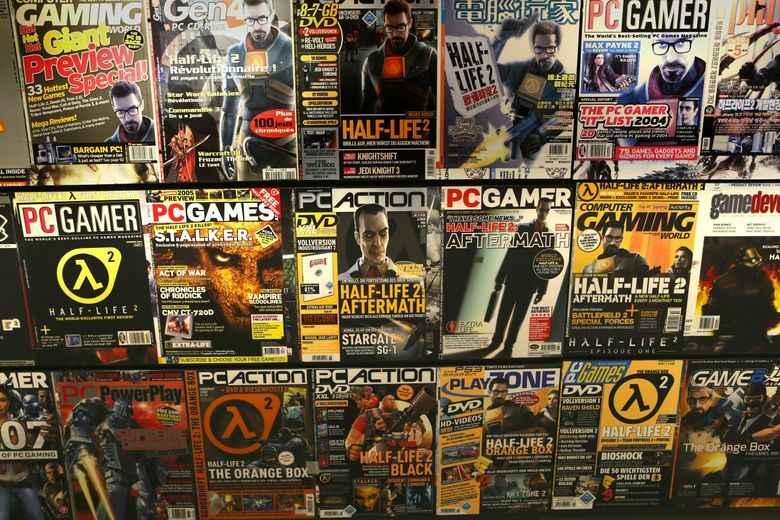 The maker of “Dota 2,” “Counter-Strike” and “Half-Life,” Valve also operates Steam, the main digital storefront for personal-computer games. That combination makes Valve the video-gaming equivalent of a movie studio like Universal Pictures, if Universal also happened to own Netflix. 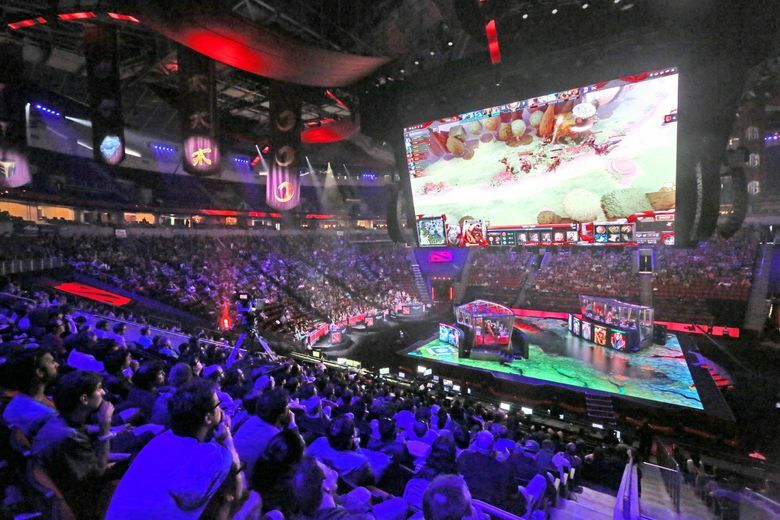 The International, as Valve calls this week’s “Dota 2” tournament, draws thousands of people from around the world to watch a week of competition. Fans, some dressed as characters in the game, others toting giant bags of souvenirs, take over the neighborhoods around Seattle Center. For most of the year, though, 21-year-old Valve is virtually invisible, its 325 employees plugging away in a nondescript Bellevue office tower. 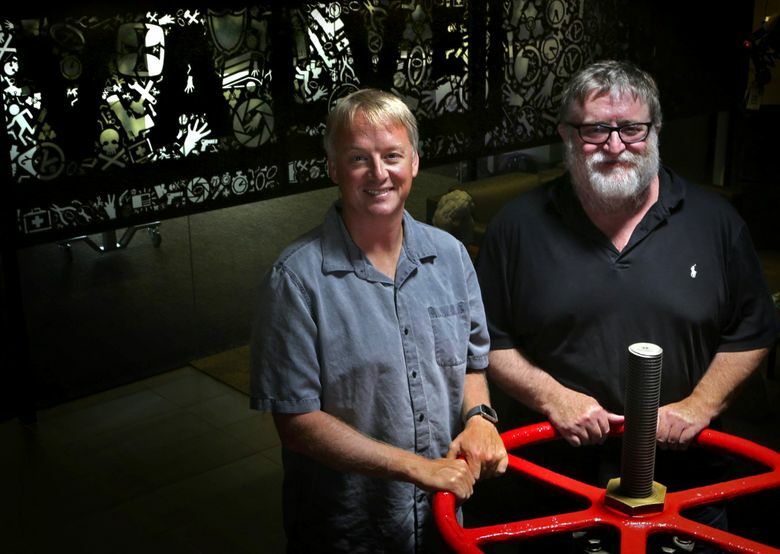 A privately held company — Newell is majority owner, and current and former employees own the rest — Valve tends to say little. The company largely ignores the industry’s trade shows and public-relations circuit. It hasn’t published a news release in nearly two years. A network of bloggers and video-game writers make a sport of filling that silence, reading between the lines of Valve’s public statements and Reddit posts to try to figure out what the company might be up to. But Valve, now with a global reach and enough money in the bank to take on any project it wants, is no longer a scrappy upstart and is facing the growing pains that come with that scale. Legal challenges have targeted the hands-off way the company administers its empire. An Australian court in December found Valve broke local consumer-protection laws, and, in the U.S., lawsuits charged that the company helped enable underage gambling. The company denies both sets of allegations. Some in the industry say the legal spotlight shows the pitfalls of building a company with few guardrails. Valve offered a glimpse at its workings early this year, inviting a group of video-game journalists for an afternoon of meetings at its headquarters. Newell, technically the CEO, and Erik Johnson, a longtime employee who pilots this week’s tournament, among other major projects, explained how the company works. Newell, 54, wields a detached, matter-of-fact tone as he moves comfortably between analysis of video games and social and economic theory. Rigid corporate hierarchy, he says, gets in the way of doing good work. Concentrating information and decision-making power with a few people at the top makes sense if you’re manufacturing mufflers or running a military campaign, but it doesn’t do much good in fast-changing, creative pursuits like video games. Valve pushes authority out to individual employees, authorizing the developers who best know a game and its players to make decisions. Peers and group-appointed leads on a project act as a check on that work, as do other groups around the company. Employees, Newell said, have to be comfortable taking the initiative and working without a safety net. Say you introduce a bug into a game or break a feature of the Steam marketplace — and trigger a deluge of customer complaints. For some decisions, a hierarchy appears. Ed Owen, a hardware engineer who spent years working on Microsoft’s Xbox, joined Valve in 2012, drawn by the opportunity to build something new. He helped design Valve’s first hardware lab, spending millions of dollars on cutting-edge machinery as the company started building its own game controllers, computers and virtual reality headset prototypes. Valve’s Doug Lombardi, the company’s de facto marketing lead and public-relations spokesman, concedes that there are some decisions that require a break from consensus-based governance, times when someone has to pull the trigger. Hiring, firing and job reviews appear to be among them. To gauge employee performance and determine pay raises, Valve asks employees for anonymous feedback on their peers. The task of putting those reviews into a spreadsheet and disseminating them to other key leaders has fallen, depending on the year, to Johnson or Scott Lynch, the company’s titular chief operating officer. And when Valve lost its lease on its Bellevue office space, the company polled employees on where they wanted to move. Their response guided the decision, but a small group had the final say. (Valve is scheduled to move into Bellevue’s new Lincoln Square expansion later this year). Newell, speaking generally, said Valve’s way of work isn’t for everybody. The search for the unconventional has bled into Valve’s hiring. The company’s core is made up of experienced game designers, but Valve has a reputation for bringing in employees from outside the industry, from self-taught electrical engineers to animators and economists. Valve began in 1996 when Newell and Michael Harrington, two Microsoft millionaires, left the company to build a game studio. Their first game, “Half-Life,” was a hit, helping establish the first-person shooter as the industry’s most popular genre. Harrington left shortly after the release. Subsequent titles like “Half-Life 2,” and the “Portal” series are regarded as masterworks of game design. Today Valve is better known for Steam, the online personal-computer software storefront launched in 2003. In exchange for a 30 percent cut of sales, Valve offers Steam as a platform for other developers to sell their own games. The launch was well timed. Broadband internet coverage was expanding, making it more practical to download large video-game files instead of buying a physical disk. And the competition — the brick-and-mortar software and electronics stores that sold PC software — was struggling. Steam has grown into the biggest retailer in PC gaming. Today it accounts for as much as 50 percent of downloaded PC game sales, analysts estimate. Valve crossed $1 billion in annual revenue for the first time in 2012, according to a former employee, and industry analysts estimate that today Steam on its own brings in well more than $1 billion a year. Newell is a billionaire by Bloomberg News’ ranking, which estimates his majority stake in the company is worth $5.4 billion. The cash has fueled a range of experiments that pushed video gaming’s frontiers, from virtual-reality headsets to free-to-play games. Eight years ago, a few Valve employees who had tried their hand at “Dota” — a popular, fan-built modification of Blizzard’s “Warcraft III” — reached out to the modification’s lead designer. Those conversations led to a job offer to come to Valve and work on a sequel. In typical Valve fashion, nobody was assigned to work on the project, Newell said. Many employees were skeptical of the idea of making a game that was technically free to play, with players offered the option of buying in-game items afterward. But after a Valve programmer got a prototype of the game world working, others saw the potential and jumped onto the game. “Dota 2” was released in 2013. Twelve million people played the game in the last month, placing it in the top five most popular multiplayer games. Valve, as it has grown, looks more like a typical company in some respects. Human resources, formerly a task employees rotated through in their spare time, now is a department. So is legal. The company is also building out its customer-support group, a response to complaints that it was unresponsive to Steam customers. In one episode in Australia, it took Valve employees months to respond to refund disputes, which led to a court case and ruling that Valve had broken local consumer-protection laws. The company is appealing the verdict and its $2.1 million penalty. The company admits to some failings. At the news event at Valve early this year, an employee started describing what he called the company’s “reputation” for poor support. Johnson, from the back of the room, corrected him. “We had bad support,” he said. The company is also under fire for another element of Steam. Seeking to differentiate “Counter-Strike: Global Offensive” from similar first-person shooters, Valve in 2013 created what became an online economy based on trading decorative modifications for game weapons and gear. For a small fee paid to Valve, players can open in-game boxes containing such “skins,” and, through Steam, trade them to other players. Offshore gambling websites saw a business opportunity, building forums for trades and wagers on the outcome of professional matches, as well as lottery and roulette games. Other sites offered to convert digital skins into real cash. That ecosystem exploded in popularity in 2015, when skins wagers totaling billions of dollars changed hands, according to Chris Grove, a gambling analyst who tracked the phenomenon. Some of those who tried their luck were teenagers. Lawsuits filed last year alleged that teens lost thousands of dollars, and that Valve knowingly facilitated the activity. Though the company didn’t own the gambling sites, it was a crucial link because it provided the medium of exchange, the suits said. Valve rejects that contention, saying the gambling sites violate the company’s own terms of service. After the suits were filed, Valve cracked down on suspected Steam accounts tied to gambling. In April, Valve won a court ruling that steered the most prominent skins lawsuit into private arbitration, avoiding a potential class-action case. A separate investigation by the Washington State Gambling Commission is continuing. At a typical large company with formalized processes for legal oversight, the existence of the gambling sites would have set off alarms, said gambling analyst Grove. Observers say Valve’s success comes, in part, from patience. “Valve time” is a running joke in the industry, referring to the company’s tendency to miss publicly announced deadlines. That freedom helps the company get things right, employees and observers say. Closely held Valve, unlike rivals Electronic Arts or Activision Blizzard, has no outside investors to answer to at the end of each quarter. Newell and Johnson are reluctant to get that introspective. To Johnson, looking back is useful when examining missteps, but can be a waste of time otherwise. One part of their legacy that Valve does regularly have to address: Newell’s future. In job interviews, Valve applicants often ask if the venerable CEO plans to stick around for long. The answer, the company says, is yes. Newell doesn’t appear to have time to think about retiring. “Every once in a while someone will say ‘shouldn’t we celebrate this milestone,’ and everybody else goes ‘no, we should actually get more work done,’ ” Newell said.